Malawi (pop. 13,386,000; GDP/cap US$172), dubbed the Warm Heart of Africa, lies to the east of Zambia. It is the sixth poorest country in the world. Malawi boasts fantastic scenery, national parks and game reserves. Lake Malawi also offers snorkeling, diving, boating, and a relaxing shore under the sun's warmth. Since 1994, Malawi has been a multi-party democracy, albeit endemically corrupt. A population explosion has severely pressured agricultural land, and the spread of HIV/Aids has caused major problems for the country. Since January 2002 foreign nationals have been prohibited from buying freehold property under the (revised) Malawi National Land Policy, though foreigners may obtain leases, either from the Government, or from private owners. 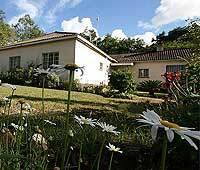 Foreigners already owning property are under pressure to become Malawi citizens, to retain freehold ownership.